The 0820 service 90C journey has been withdrawn and the 0810 from Sainsburys has will run a few minutes later. 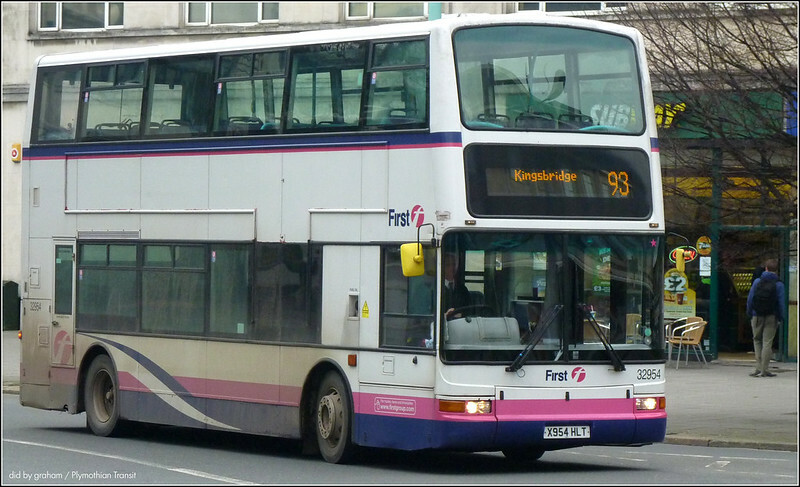 Service 93: To avoid possible capacity issues on the 0730 departure from Dartmouth, an extra direct bus will depart Dartmouth at 0730 (term time week days) arriving at Kingsbridge Community College at 0815 (via Totnes Cross). Can i tell you some news,that i've just seen a bus accident today outside my house in estover. The only thing that i seen that was broken was the mirror on the driver side and looks like the side window by the driver. It was plymouth citybus 86 that had an accident with a target travel school bus about 8:30am this morning. I took some pics from my window that i've put on my flickr page. This is something i think you might like to put up on your blog. Thanks Bradley. Do you have the link to your Flickr account please? There has been a small crash this morning in esover involving a plymouth citybus 86 and a target travel school bus. no one was hurt but the bus was. the side mirror broke of bus 86 and has been sent to milehouse. Bradley Darlington told us about this and I think he as some sent to us. a video will be up on our channel today about what we know about the crash.